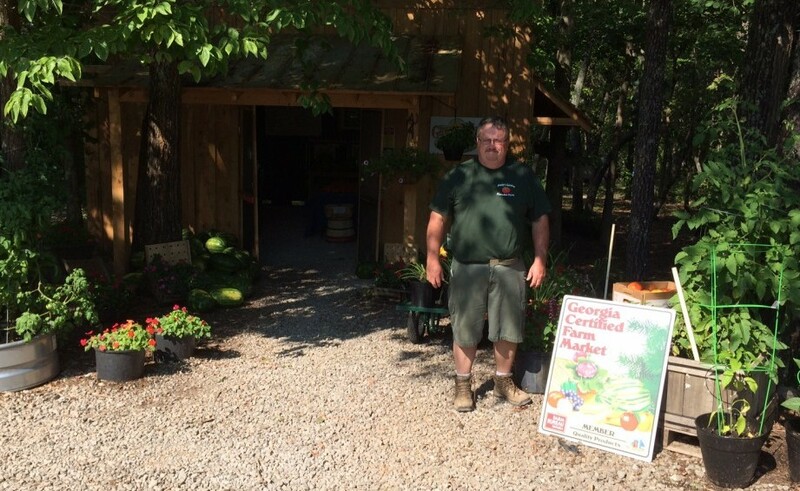 Mr. Westbrook started Emily’s Garden in 2012 and has seen demand and his production increase each year. Emily’s Garden at Haradon Farm is a family operated vegetable business in beautiful Ball Ground. 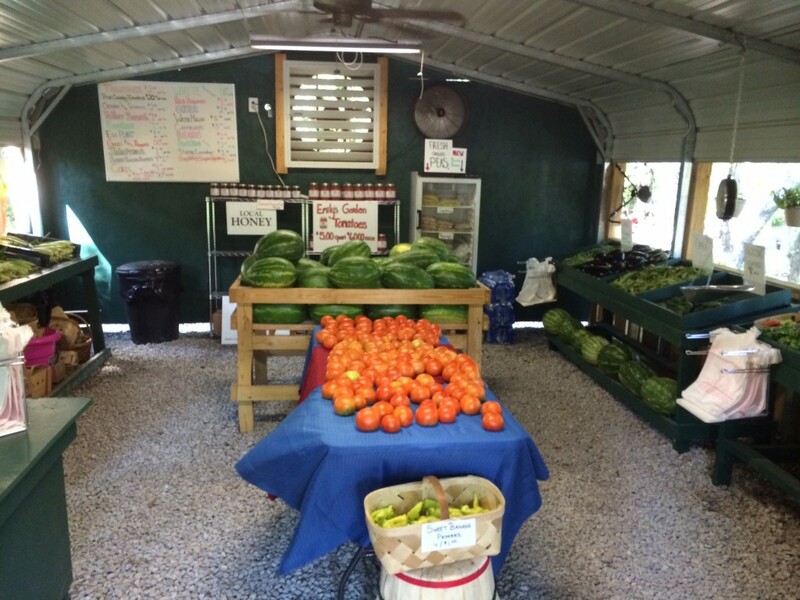 Robby Westbrook started the business in 2012 and has steadily grown with interest and demand for locally grown food. This year they have close to 40 acres of corn, okra, tomatoes, beans, peppers, and eggplants in production. 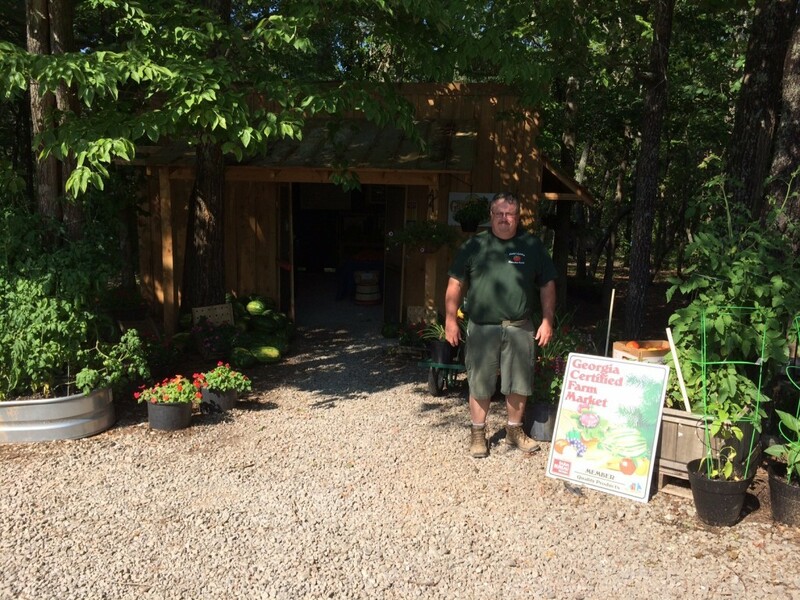 Their farm stand is open every day from June through September. Emily’s Garden employs five local youth during the growing season to help Robbie manage production, harvest and sell produce. I mostly listen to the news on the radio but I also enjoy Pink Floyd. Outdoors, I also like doing things in the emergency management field when I’m able. As I said I grew up in Ball Ground and we always kept a garden. I worked for Cherokee County as the County Emergency Manager before I retired in 2013. We started Emily’s Garden the year before I retired and it has grown every year since then. I have a greenhouse at my house and we start all of our own tomatoes, peppers and eggplants. I also hope to build a couple high-tunnels so we can extend our growing season a few additional months per year. Meeting and talking with people. I also love observing the life cycle of the plants from seed to harvest. Kirstie Richards (left) and Melissa Driskell (right) work at Emily’s during the summer and greet all visitors with a smile and wonderful service. During the peak season, Emily’s Garden is barely able to keep the hundreds of pounds of produce they harvest daily on their shelves. 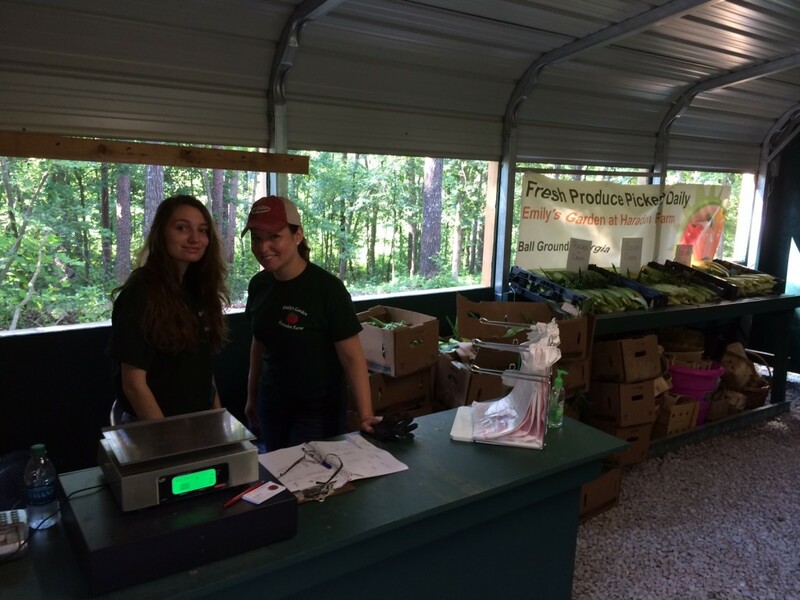 Posted in Cherokee County, Farm stand, local business, Vegetables. This entry was tagged farm stand, local produce. Bookmark the permalink.